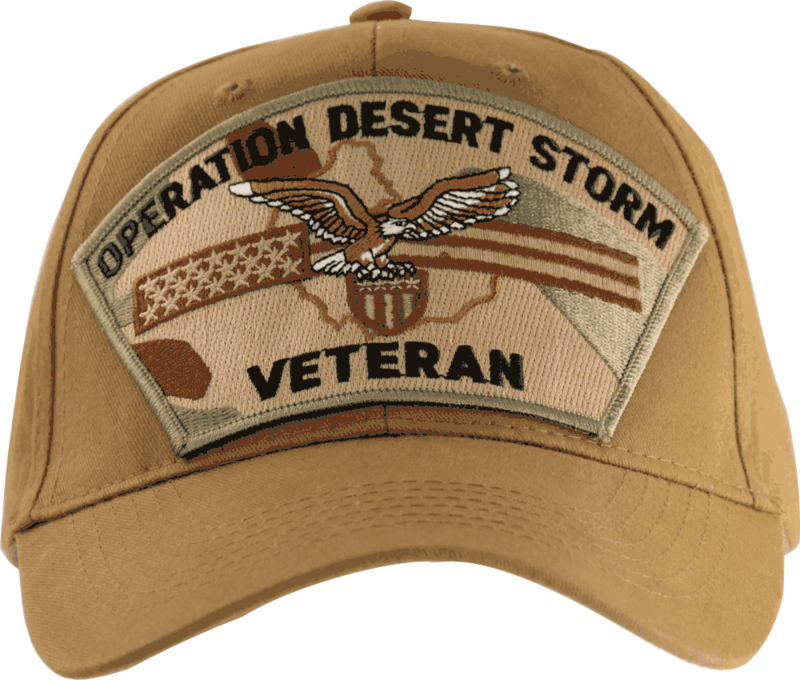 This 'Operation Desert Storm Veteran' Ball Cap is six panel, emblematic, cotton twill, dark under the visor, full back (not mesh) and fully adjustable. 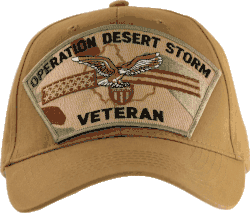 All of our Military hats are fully guaranteed. These are the same ball caps found throughout the Military. This cap would make a wonderful addition to your collection or a great gift! A percentage of the sale of each ArmyDecals item is forwarded to the licensing department of the United States Army in support of the MWR (Morale, Wellness, & Recreation) program. These payments are made by either ALL4U LLC or the wholesaler from where the item originated. Our team thanks you for your service and your support of these programs.